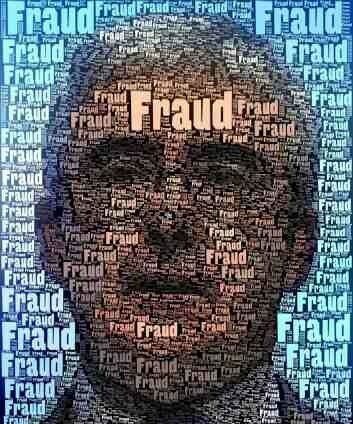 Fraud: This man wants you to believe DWP austerity measures are succeeding, in order to win votes at next year’s general election. They aren’t. He is a liar. The Department for Work and Pensions is merrily claiming that more than £13 million allocated to help people who have been hit be the government’s unfair ‘welfare reforms’ via Discretionary Housing Payments has gone unclaimed. Lord Freud wants you to think “recent scare stories about councils running out of money were grossly exaggerated”. He was – of course – lying through his teeth. A quick look at the facts reveals that Discretionary Housing Payment was overspent by £3,505,582 during the 2013-14 financial year. That’s two per cent more than the government allocated. The £13,285,430 underspend quoted in the press release refers to just 240 out of the 380 councils that distribute DHPs. It completely ignores the £16,791,012 overspent by 127 other councils, in order to provide a false figure. The remaining 13 councils spent all of their allocated amounts. Focus on the regions and the picture gets worse: In Scotland, DHP was overspent by 76 per cent of the amount allocated – £28,700,215 against an allocation of £16,269,675 from the DWP. Scottish councils had to foot the bill for the extra amounts. Wales spent an extra six per cent – £7,724,176 against an allocation of £7,274,829. Here in Powys, 1,200 of the county’s 8,300 social dwellings were affected by the bedroom tax, with a total annual loss of housing benefit of £800,000. The total DHP funding available was £154,975. Looking at those figures, it’s amazing the overspend was so small. It is only in England that a net underspend is recorded – of around £9 million. Grossly exaggerated? The fact is that 127 councils did run out of money – that’s more than one-third of the total. It would be fairer to say that the scare stories came true. The press release also states that “around three-quarters of councils also did not apply for a £20 million government top-up fund to help claimants adjust to welfare changes, leaving a further £7.1 million unspent”. No figures are provided to support this statement. People will be angry about this – and rightly so. The BBC has just brought massed complaints down on itself after it chose to ignore a 50,000-strong demonstration against the government’s austerity measures that started outside the Corporation’s front door. Many incensed callers and emailers said they feared the BBC was participating in a conspiracy of silence about the harm being caused to ordinary people. Now we see the DWP is lying to us about the harm its bedroom tax is doing to ordinary people – including hardworking employees, who make up more than 90 per cent of new housing benefit claimants. 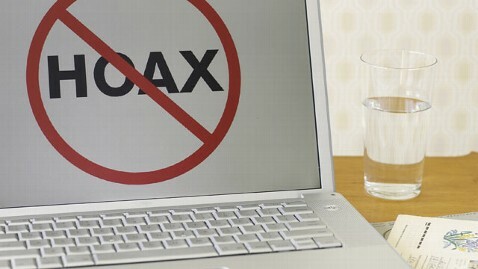 We hate people in authority who try to mislead us. If the DWP reckons it’s getting decisions right, why are people still suffering? He knows he’s in trouble: Mike Penning, shortly after removing his foot from his mouth while talking about ‘mandatory reconsideration’. 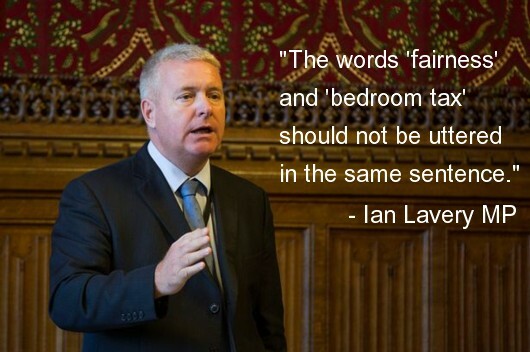 The minister for disabled people, Mike Penning, seemed to think he had something to celebrate this week, after official figures showed the number of benefit decision appeals dropped by 79 per cent between January and March this year (compared with the same time in 2013). Does the man with learning disabilities who was living on a paste made of flour and water, after his benefits were suspended, feel the same way, one has to wonder? How about the woman with breast cancer who was forced to stop chemotherapy – putting her life in danger, one must presume – because she was assessed as ineligible for benefits? The fact is that ‘mandatory reconsideration’ was brought in to make it harder for benefit claimants like these to challenge a decision that they are capable of work. If a claimant is unhappy with an adverse decision, they can demand a ‘mandatory reconsideration’ and it will be revisited, usually by a different decision-maker – but the Department for Work and Pensions will not pay even the ‘assessment rate’ of the benefit that has been claimed until a new decision has been reached, and there is no time limit within which the DWP must carry it out. Once a decision has been made, and if it is favourable, there is no guarantee that the benefit will be backdated to cover the whole period since the original claim. If the claimant is still unhappy about the decision, they may then take it to appeal. This is unlikely as, by then, they will have been forced to live without any means of support for an extended period of time and other benefits such as Housing Benefit may have been denied to them because of the DWP’s adverse decision. This is the whole point of the nasty game – cutting the number of appeals. When a benefit case goes to court it is both expensive and potentially embarrassing for the Department for Work and Pensions. Of course it is – when a judge tells a government representative that their decision has been irrational or needlessly cruel, it’s a slap in the face for both the decision maker and, ultimately, the government whose benefit ‘reforms’ made that decision possible. ‘Mandatory reconsideration’ was brought in at the end of October last year, and the figures for January to March are the first quarterly statistics to indicate its effect. Mr Penning said: “This new safeguard gives claimants the chance to raise their grievance promptly, provide further evidence and have their claim reassessed without the unnecessary stress of an appeal.” Would this be “unnecessary stress” to DWP employees? Claimants now have even more “unnecessary stress” to handle. It should also be noted that we can’t trust the government’s statistics on the number of appeals it has been handling. A Freedom of Information request by the iLegal website has revealed that, between April 2012 and June 2013, the DWP received 406,070 ESA appeals – and officially recorded outcomes of only 12,800. What happened to the rest? It seems Mr Penning has learned to speak with a forked tongue. Seen to be done: The tribunal took place at the Law Courts in Cardiff (pictured), in public – which allowed friends of Vox Political to hear the case. The Information Commissioner’s Office and the Department for Work and Pensions have highlighted the weakness of their own case for hiding the number of people who have died while claiming sickness and disability benefits – by failing to turn up at a tribunal on the subject. 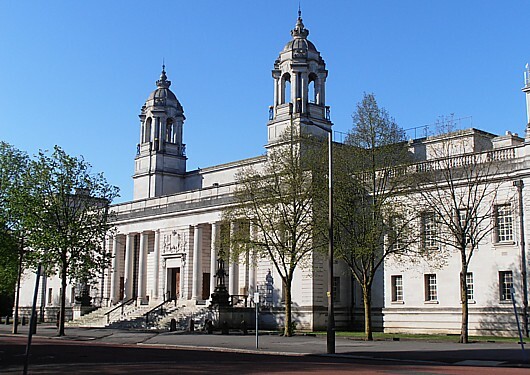 They had the opportunity to explain why mortality statistics for people claiming Employment and Support Allowance since November 2011 have been suppressed, at a tribunal in the Law Courts, Cardiff, yesterday (April 23). But, rather than be grilled on the reasons for their decision by a judge, a specialist in this area of law, and a ‘lay’ person (representing the opinions of right-thinking members of the public), they chose to stay away. The tribunal had been requested by Vox Political‘s Mike Sivier, after he made a Freedom of Information request for access to the information – and it was refused on the grounds that it was “vexatious”. The Department for Work and Pensions said he had written an article about his request on the blog, containing the line, “I strongly urge you to do the same. There is strength in numbers.” According to the DWP, this line constituted a co-ordinated, obsessive and protracted campaign of harassment against the department. One line in a blog article, added as an afterthought – an obsessive campaign designed to “disrupt” the workings of the DWP. It’s ludicrous. 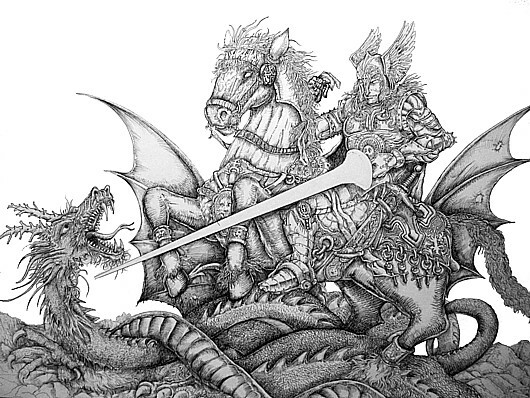 The DWP claimed it had received 23 requests that were similar or identical to Mike’s, in the days following his own, and inferred from this that they were from other members of this fictional campaign. Mike has only been able to track down evidence of seven such requests and, of them, only one mentions him by name. Without a tangible connection to Mike or Vox Political, the case is not made out – and one connected request does not constitute a campaign. In fact, Mike’s own request was made after he read that a previous request had been refused – that of disability researcher and campaigner Samuel Miller. Mr Miller had published this fact in the social media and expressed that he was “furious” about it, and this inspired Mike to write his own request. Who knows how many other people did the same in response to Mr Miller? Yet he has (rightly) not been accused of starting any conspiracy. Mr Miller’s original request has now received a reply, after the Information Commissioner’s office ruled that it had been mishandled by the DWP. This reply contained the wrong information and Mike urged Mr Miller to point this out. Clearly Mr Miller’s claim is not being treated as vexatious, even though it has inspired others to follow his example – as Mike’s article shows that he did. The contrast in treatment betrays a clear double-standard at the DWP (and the Information Commissioner’s office, after appeals were made to it in both cases). Perhaps it is because of this fatal flaw in their logic that neither the ICO nor the DWP saw fit to send representatives to the tribunal. This left the floor free for Mike to make his own case, with nobody to speak against him or cross-examine him. Tribunal members asked questions, but these were entirely helpful in nature – allowing Mike to clarify or expand on his argument. The claim that abusive or aggressive language exhibited by blog commenters indicated harassment that was likely to cause distress to members of the DWP was batted away with the argument that nobody from the department would have seen it if they had not gone looking for it (after reading the FOI request from a Vox Political reader who referenced the blog). Mike said it would be “like a social landlord gatecrashing a residents’ association meeting, listening to the grievances of the tenants and then saying they are harassing him and he’s not going to service any of their requests for repairs. That is not reasonable”. 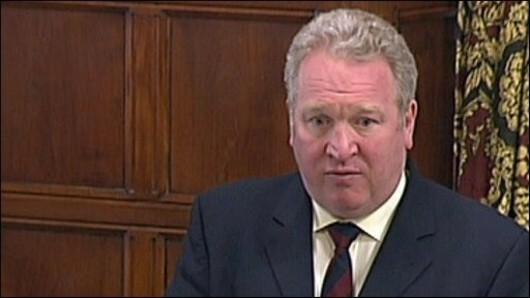 In his speech to the tribunal, Mike responded: “It is reminiscent of the line in the TV sitcom Blackadder The Third, when the title character, butler to the Prince Regent in Georgian times, demands a fortune in order to buy votes in a by-election for a ‘tupenny-ha’penny place’. Challenged on the amount, he responds: ‘There are many other factors to be considered: Stamp duty, window tax, swamp insurance, hen food, dog biscuits, cow ointment – the expenses are endless.’” He said the ICO’s claim “smacks of desperation”. One aspect that worked in Mike’s favour from the start was the fact that both the DWP and the ICO have accepted that there is a serious purpose to his request – publication of figures showing how many people have died while claiming ESA. This is important because the assessment regime for this benefit has been heavily criticised as harmful to claimants and the government has claimed that it has made changes to decrease any such effect. The only way the public can judge whether this has worked, or whether more must be done to prevent unnecessary deaths, is by examining the mortality statistics, but these have been withheld. This is the matter at the heart of the request and the fact that the ICO and DWP acknowledge this is a major element in Mike’s favour. With nobody on hand to provide the ICO/DWP side of the case, the hearing ended at around midday, after Mike had been speaking for two hours. He was grateful to be supported by his McKenzie friend, Glynis Millward, who provided help and advice, and by a group of Vox Political readers who attended to hear the case. Now the bad news: No decision was handed down on the day. The tribunal judge explained that the panel must now think about the issues raised and discuss their findings. He said they would aim to provide a full, written decision within 21 days. It is interesting to note that Mr Miller has acted on Mike’s advice and has been advised that a revised response to his request should be with him soon. If this response contains updated information under the same headings as the original ‘ad hoc’ statistical release provided by the DWP in July 2012 (and from which we derived the 73-deaths-per-week figure that shocked so many people at the time), then a decision by the tribunal to release the same information may seem redundant. In fact, it is possible that the DWP may provide the information to Mr Miller, simply to spite Mike. But this would be yet another misunderstanding of what this case is about. Mike doesn’t care who gets the mortality statistics first; for him, it is not about who gets to say they were the one who forced the government into submission – this is about getting the information out to the public, so the people can decide whether ESA does more harm than good. The tribunal’s decision will still be important as it will establish whether the DWP – and other government departments – will be able to manipulate the principles behind the Freedom of Information Act to avoid providing politically inconvenient information in the future. In Mike’s opinion, a decision in the government’s favour would effectively turn the Act into a dead letter. So – for now – the long wait continues. I have just sent out a ‘diary marker’ to press organisations, notifying them of the Information Tribunal that will be held in Cardiff next week. Inevitably, there will be organisations I have missed – and I also want as much of the social media as possible to be aware of this and to be spreading the word. For that reason, I’m publishing the text of the press release below. If you have a Facebook page, blog site, Twitter account or whatever, please feel free to use what follows and make sure people know that this is going on. A tribunal will decide whether the Department for Work and Pensions should be ordered to release its statistics on the number of people who have died while claiming Incapacity Benefit or Employment and Support Allowance, at a hearing next week. The First-Tier Tribunal (formerly the Information Tribunal) will be hearing an appeal by Vox Political blogger Mike Sivier, against a decision by the Information Commissioner and the DWP to refuse a Freedom of Information request on the subject. The DWP published an ‘ad hoc statistical release’ in July 2012, showing that 10,600 claimants died between January and November 2011. Of these, 3,500 – or 73 people every week – were either going through the assessment process or had been put in the work-related activity group, intended for people who were expected to recover within a year, when they died. The revelation provoked outcry from people suffering from disabilities and long-term illnesses, and seems to have discouraged the DWP from continuing to publish the figures. Mr Sivier made his request in June 2013, after learning that the DWP had refused previous requests. The department at first claimed there was no intention to release any further statistics, and the information would take a great deal of time and effort to gather and collate – this is not true. In fact, the DWP later admitted that it does hold the information, and could provide it within the cost limit. The next excuse was that the Secretary of State, Iain Duncan Smith, accepted that there was interest in the figures and was considering how to publish them. This was claimed in August 2013. Since no plan to publish these time-sensitive figures after nearly nine months, we must conclude that, like the previous claim, it is not true. The figures are time-sensitive because it is important that the system be improved to prevent unnecessary deaths. Delays in publication mean the figures are unlikely to be used in that way. Seeing that the DWP had brushed aside privately-made requests, Mr Sivier ensured that his was public knowledge by writing an article about it in his blog (at https://mikesivier.wordpress.com/2013/06/25/dwp-refuses-to-provide-information-on-esaib-deaths-what-is-it-hiding/). As an afterthought, he included a line encouraging readers to follow his example, if they believed the issue was important, reasoning that the DWP may give more weight to it if it was known that there was general concern. 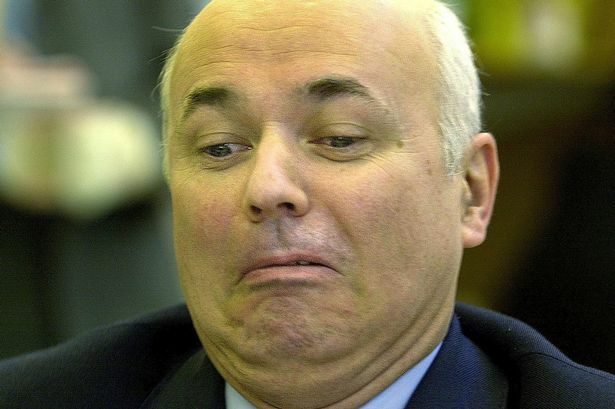 The DWP refused the request, claiming it was “vexatious” under section 14(1) of the Freedom of Information Act 2000. Officers had visited the blog and concluded that the last line, “I strongly urge you to do the same. There is strength in numbers,” constituted a co-ordinated campaign of harassment against the department. Mr Sivier believes this is nonsense and appealed to the Information Commissioner on this basis. But the Commissioner was persuaded by the DWP and upheld the decision, forcing Mr Sivier to take the matter to the tribunal. Sanction figures: Shurely shome mishtake? 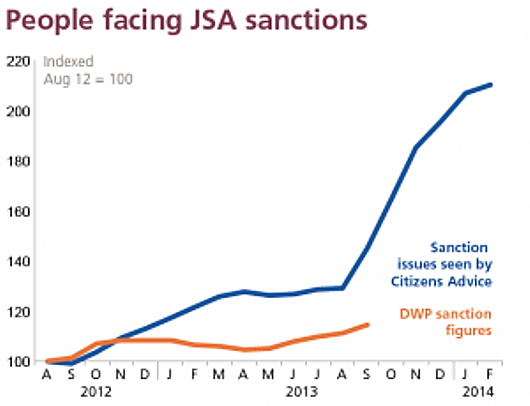 There’s something not quite right about the DWP’s latest statistics covering benefit sanctions. I’d go into it in detail but, in the spirit of the saying that a picture can tell a story better than a thousand words, let’s just have a look at this graph instead (courtesy of @UKJCP on Twitter). By my reckoning, somebody’s calculations started to go seriously amiss in November 2012. And who do you think is to blame? So: honestly, this independent blog’s only funding comes from readers’ contributions. Vox Political is going to court. A tribunal on April 23 – St George’s Day – will hear my appeal against the Information Commissioner’s (and the DWP’s) decision to refuse my Freedom of Information request for details of the number of people who died while claiming Incapacity Benefit or ESA during 2012. The aim is to find out how many people died while going through the claim process, which is extremely stressful for people who are – by definition – ill or disabled; and also to find out how many have died after being put in the work-related activity group of Employment and Support Allowance claimants, as these are people who should be well enough to work within a year of their claim starting. The Department for Work and Pensions has guarded these figures jealously, ever since an ‘ad hoc’ statistical release in 2012 revealed that, every week, an average of 73 people in the above two categories were dying. According to the rules of the process, these were people who should not have come to the end of their lives while going through it. Clearly, something had been going wrong. The DWP has strenuously denied this, and has made great efforts to promote its claim that it has improved the process. But when at least two individuals asked for an update to the ‘ad hoc’ release at the end of 2012, all they received in return was delay and denial. That’s what prompted me to make a very public FoI request in mid-2013. I published it on the blog and suggested that readers who felt the same way should follow my example. The DWP claimed that this meant I had co-ordinated a campaign of harassment against it, and answering all the requests it received would create a severe burden on its already-taxed resources. It refused my request, claiming that it was “vexatious”. In its own words, the DWP is an extremely-large, customer-facing government department with 104,000 employees. It is claiming that it received 23 requests that were similar or identical to mine in the period after my blog post – but I have not seen these and it is possible that this is inaccurate. Severe burden? Campaign of harassment? It doesn’t seem realistic, does it? I reckon I have a good chance of winning this – which brings me to the next issue: Winning is only part of this battle. It won’t mean a thing if nobody hears about it. Vox Political is a small blog. Agreed, some articles have been read by more than 100,000 people (presumably not all DWP employees) and hundreds of thousands more will have heard of them – but these are rare, and there are more than 60 million people in the United Kingdom. If I win, I’m going to need help to get the information out to the public. I can’t rely on the mainstream media because they tend to support the government and may suppress the information. Having said that, I do intend to put out press releases and give them the opportunity to do the right thing. But I also want to hear from people on the social media who want to help get this information out – either on blogs, organisations’ websites, personal websites, Facebook pages and Twitter feeds. It doesn’t matter how many people follow you; if you want to help, please get in touch. Please also feel free to suggest people or places that might help if contacted. Reply using the ‘Comment’ box at the bottom of the article. I won’t publish your details but will use them to create a list of participants. When I receive a verdict from the tribunal, I’ll put out an announcement and we’ll have to see how much noise we can make. This is a chance for the social media to show what they can do. Should we be pleased that the Department for Work and Pensions has finally graced a Freedom of Information request about the number of people who have died while claiming incapacity benefits (including ESA) with a response? Disability campaigner Samuel Miller was the recipient of this kindness, bestowed only after he called in the Information Commissioner to demand it. Needless to say, it doesn’t provide the information that was requested; it doesn’t even conform to the dates in his request. This referred to the now-infamous ‘ad hoc’ statistical release of mid-2012 which showed that an average of 73 people whose assessments were not complete or who had been put in the Work-Related Activity group of ESA had died every week between January and November 2011. It was an update of this figure – derived from ‘Table 3’ of the ‘ad hoc’ report – that Mr Miller wanted, but the DWP has not given him that. He got an update of ‘Table 1’, entitled ‘IB/SDA and ESA off-flows with a date of death recorded at time of benefit off-flow”. This covers the period of the financial year 2011-12, and therefore misses out eight months of the period with which Mr Miller’s request was concerned. It covers all Incapacity Benefit, Severe Disablement Allowance and ESA claims for that period and does not differentiate between them, so it is impossible to work out the number of ESA claimants who died between December 2011 and March 2012, which is the extent of the new period covered. It also registers a drop in deaths from the previous financial year – from 41,750 to 39,860 – against a rise in the number of people losing benefit – from 728,740 to 949,330. If we were to try to use these figures, we would be claiming an average of 764 deaths per week (down from 800 the year before). The DWP would be able to say there had been a drop in the number of deaths, and would have been able to ask why we have been complaining. But these figures are an evasion. As already mentioned, they are not relevant. They do not cover the period following November 2011 to the end of 2012, and they do not differentiate between claimants who were receiving as much support as the state could give, and those the state said should be fit for work within a year or were still being assessed. The new figures are, to be blunt, useless. The DWP would claim that it has provided the information Mr Miller wanted but this is not true. His request was made in November 2012, for up-to-date statistics, and even the material provided to him only runs to the end of March in that year. Mr Miller has put in a new request seeking figures for WRAG and Support Group deaths for 2011-12. Unfortunately he appears to have missed out the statistics for those who have died during assessment. If he receives a response (and I doubt it), it will again run to the end of March 2012 only, and will not give us an average we can compare with what we got from the ‘ad hoc’ release. My opinion is that the DWP will continue to guard these numbers jealously until ministers are forced to give them up. Let’s all hope this happens after my information tribunal takes place, sometime between now and mid-May. … and we need people to help us do it.